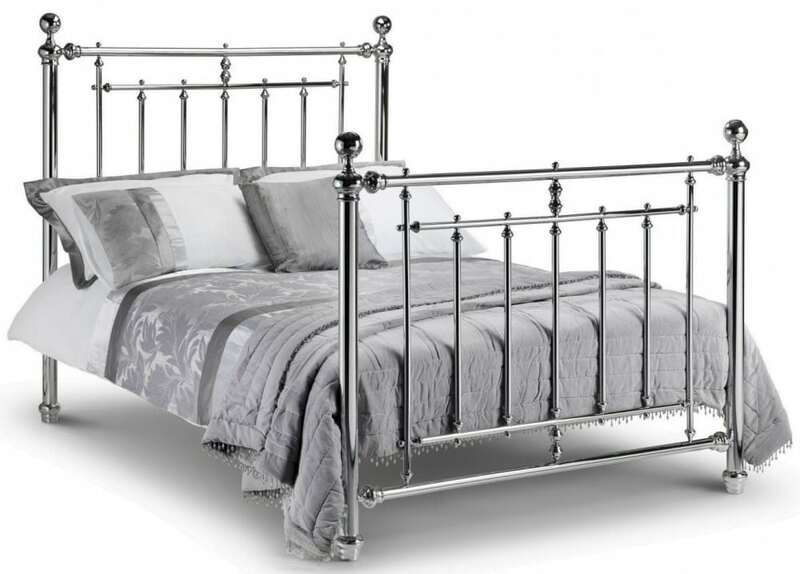 The Royal Range: in Chrome Finish A majestic crhome bed featuring highly detailed finials and castings. A centrepiece for any bedroom. Sizes Available: 135cm (4’6″) Double : £399 150cm (5’0″) King : £449 Please call to check stock and availability Free local delivery and set up in the room of your choice.